I’m fit, therefore I’m qualified? Today more than ever, individuals have options to improve their fitness. Between the traditional large box gyms, small boutique gyms, cycle studios, yoga studios, CrossFit, and many others, you should be able to find something you enjoy. While there are many options for facilities, there are even more options for trainers or coaches. How do you know if they’re qualified? Your trainer should have some sort of formal education beyond a high school degree. The best trainer is someone who is passionate and informed, rather than someone using training as a fall-back career. A background knowledge of anatomy and physiology will ensure that your trainer can make sound decisions regarding your body. The human body is a very complex machine and how it all works cannot be learned in a weekend course. Your trainer needs to clearly understand body movement and function pertaining to not only muscle attachments and ligaments, but also torque, load, and angles. 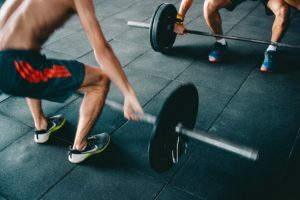 With a simple Google search, you can bring up nearly 3 million findings regarding personal training certifications with hundreds of options to obtain a “certification.” How does the average individual determine which ones are legit? There are 4 certifications that are a part of the NCCA or the National Commission for Certifying Agencies: NSCA, ACSM, ACE, and NASM. Each of these four agencies requires the following: 18 years of age, HS diploma, and CPR/AED certification. Of the four, the NSCA CSCS certification (Certified Strength and Conditioning Specialist) is the only one that requires a bachelor’s degree in Exercise Science or a related field. Colleges and universities will only hire those with an NSCA-CSCS certification to work with their athletes. What is your trainer’s experience? Ideally, they’ve met both of the above and also have some time working with either a mentor or at a facility where they could learn from their peers and colleagues. Books can teach you the basics, but real-life situations cannot be replicated. 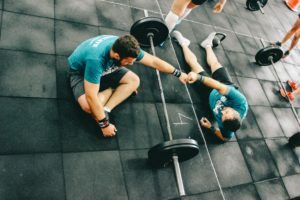 Do research on the facilities where your trainer was previously employed or ask them what they’ve done in the past and how it might relate to you specifically. If you’re a 65-year-old looking for a basic program and they’ve only worked with high school athletes, it may not be the right fit. Get to know your trainer’s philosophy, what would be their plan for you? The key is to make sure they accommodate your goals, your needs, and your background. Don’t let them make you fit a mold that “they” like, rather listen to the accomplishments you’re looking to achieve and then based on your current ability and background, building a roadmap to get there. Just because they may be fit, strong, or can run fast, doesn’t mean that’s what you want. They should have a sound logic behind their philosophy for training and the education and experience to back it up. The message at the heart of all of these qualities is simple: Every body is different, and finding someone who has the credentials, experience and philosophy to work with your unique body type, lifestyle and goals is essential.